This custom crinkled nylon drawstring backpack with vented front pocket works perfect for holiday marketers who are looking forward for greater fortune in the new season. 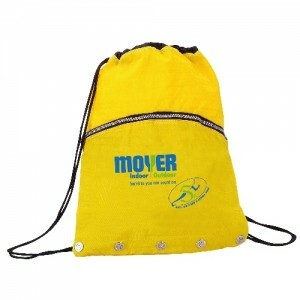 This drawstring backpack offers them large space to expose their business information and to send out positive messages about their business. Users can utilize the air vented front zippered pocket to store their wet items while on travel. Free shipping, free online design proof and free art setup offered on all orders. 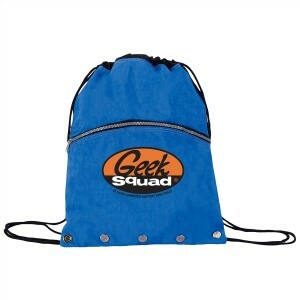 Request a quote to know big order discounts that you can expect for these customized crinkled nylon drawstring backpack with vented front pocket. 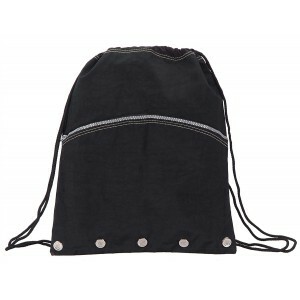 Features- Air vented front zippered pocket for separating wet items. Special crinkled nylon material is resistant and sturdy. Item Size: 14" x 17". Imprint Size - 7"W x 5"H on front pocket. Product Size : 14" x 17"